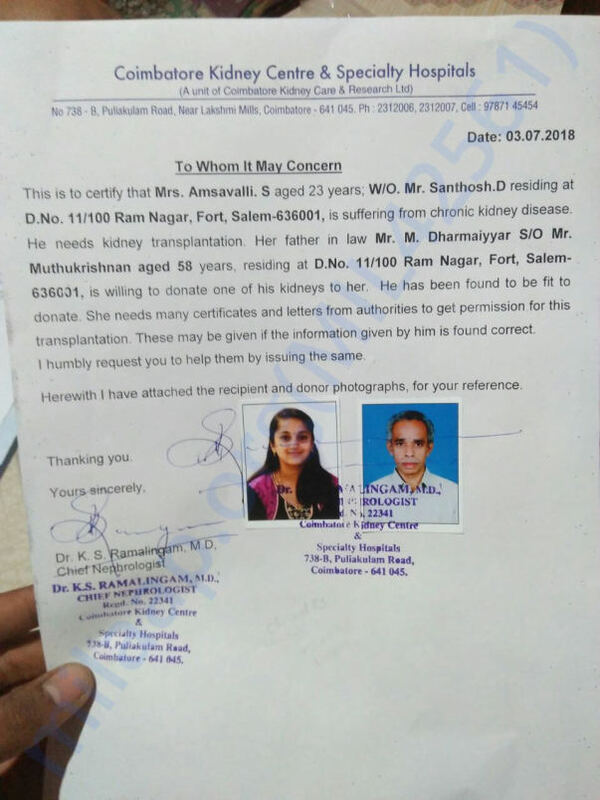 AMSAVALLI whose aged 23, who was all of a sudden diagnosed with Chronic Kidney Disease and is currently admitted in Coimbatore kidney centre and is need for kidney transplantation. 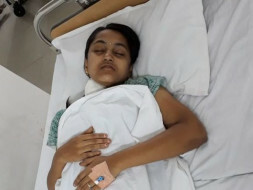 Her father in law has accepted to donate his kidney but because all this was diagnosed all of a sudden they are not able to generate funds. I have attached the necessary documents. Please do donate and share and support. Thanks in advance. Amsavalli has successfully undergone the transplant. Her father-in-law, M. Dharmaiyyar was the donor and he is also doing well. Please keep praying and blessing her for her speedy recovery. We shall keep you posted. Thank you again! 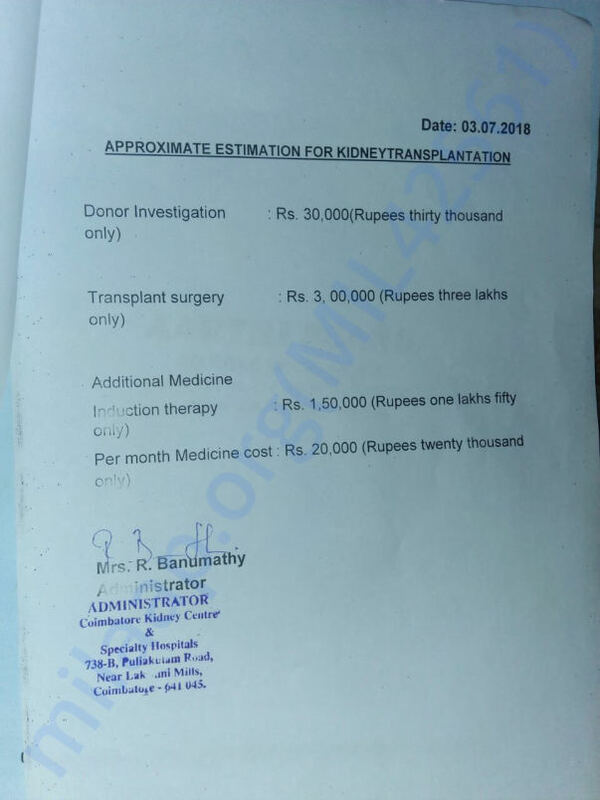 The patient has been undergoing regular dialysis for the past month (once in two days) and it costs around 80000 per week. They have been given a date for the transplantation. They are awaiting confirmation. Ms AMSAVALLI HAS UNDERGONE DIALYSIS ON ALTERNATE DAYS WHICH COST AROUND 80000 PER WEEK AND IS AWAITING TRANSPLANTATION. I HAVE ATTACHED THE BILL/INVOICE OF CHARGES FOR THREE DAYS FOR TESTS AND DIALYSIS.